If you’re a fan of BMW, you’ve probably heard of Alpina. The famous aftermarket tuner has been dealing with ‘enhancing’ BMWs for decades, and it’s all backed up by BMW themselves. 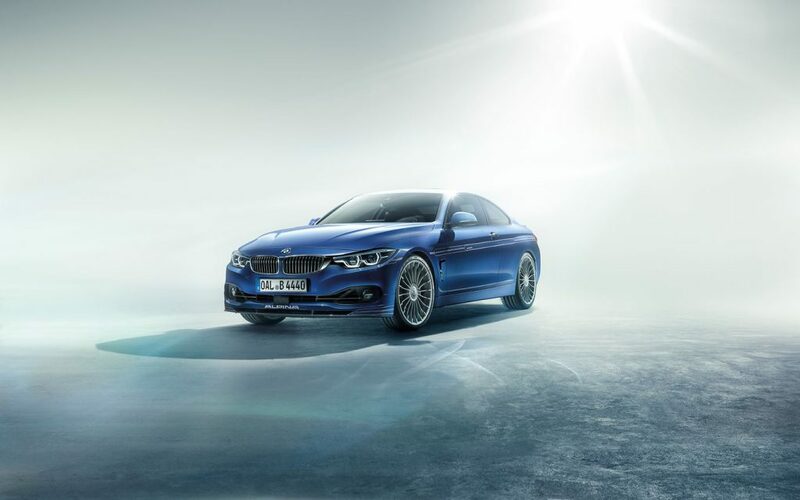 Now, we say ‘enhanced’, because Alpina isn’t your standard aftermarket company. They don’t just make specific parts or focus on a single procedure. No, they’re much more rounded than that. 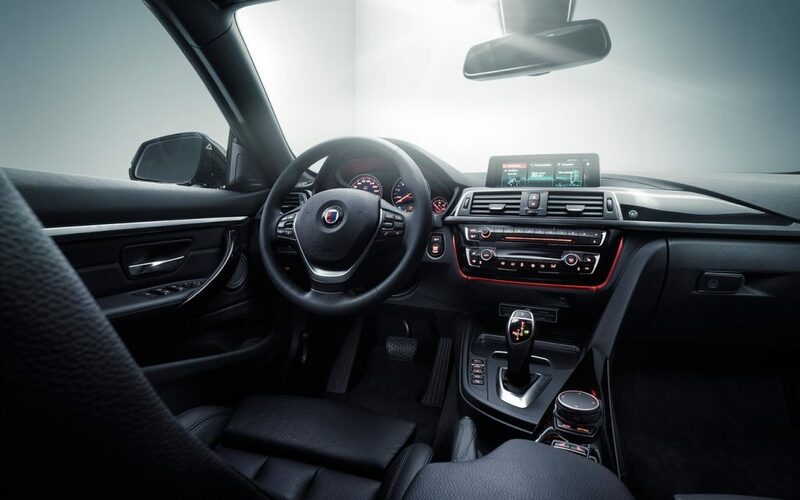 What they do is take a fairly standard BMW, upgrade most of its vital components and then rebadge the car as an Alpina product. Which, in fairness, is what it is. A mostly new vehicle. Their newest creation, the Alpina B4 S, is based on a 440i, but it’s as far removed from the 440i as is humanly possible. Alpina’s base B4 model is replaced with this new B4 S Bi-Turbo edition, which is, amongst other things, a lot more powerful. Power is upped form a pedestrian 410 bhp to 434 horsepower, while the torque figure spikes from 442 lb-ft to 487 lb-ft. Although they seem like fairly minor gains on paper, it’s a whole different story in the real world. The 3.0-liter inline six has been lifted straight from the 440i, but it’s been enhanced and tweaked in almost every aspect. Alpina says that in the last two years they’ve fiddled with it so much that it could genuinely pass as an entirely different motor to the one they started with. For starters, the large single twin-scroll turbo has been axed in favor of a new twin-turbo setup. It gets a forged steel crankshaft, improved cooling and optimized air flow. Although Alpina didn’t disclose the turbocharger type, they did mention they’re completely unique to the B4 S alone. As is always with an Alpina, the numbers don’t tell the entire story. 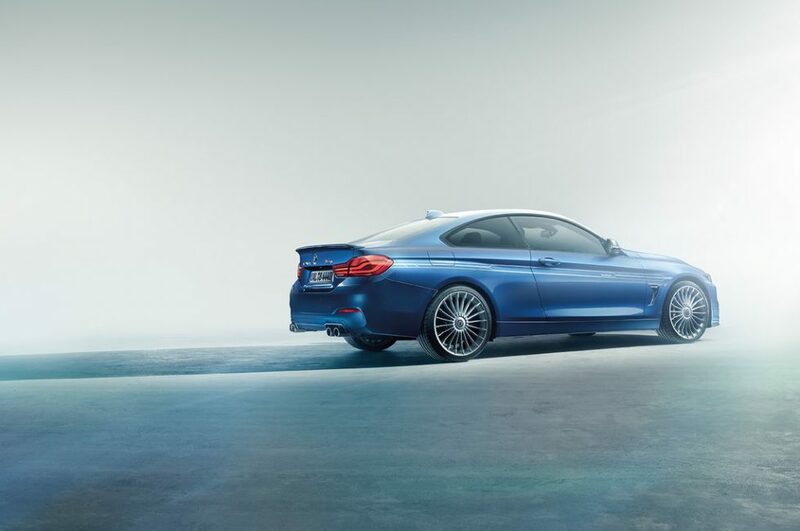 The Alpina B4 S may not be that much more powerful than the old B4, but it feels like it has doubled its power. Peak torque arrives at just 2,000 rpm and it’s available all the way to 5,000 rpm. The engine revs to 7,000 rpm, it can hit 62 mph in just 3.9 seconds and maxes out at a mind-boggling 190 mph. Power is sent to the rear wheels via the well-loved ZF eight-speed auto. Alpina has been kind enough to add a limited-slip differential, beefier drive shafts and a lighter, better-sounding Akrapovic exhaust. Prices start at £63,000 for the coupe and £67,000 for the hard-top convertible. If you’re patient you’ll be able to buy a saloon and a Touring version in a couple of months. We like it. A lot.